On this day 15 years ago Belarus chose its first irreplaceable president, but what is behind the rhetoric of the “last dictator of Europe”? It is time to take a look into this long-lasting presidency. Lukashenko’s victory in the second tour of the election on July 10, 1994, was a surprise for many. 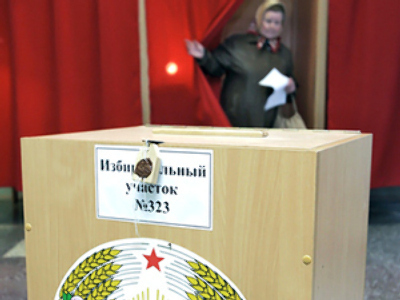 The clear favourite before the results were announced was Lukashenko’s rival Vyacheslav Kebich, then-head of the Belarusian government. However, the Belarusians seemed to place more confidence in the director of the Gorodets state farm and deputy of the Supreme Council Aleksandr Lukashenko. He made the impression of a man closer to the people and more sympathetic with their needs. His trump card was the anti-corruption rhetoric and activities which he performed as the head of the parliamentary anti-corruption committee. This part of his image not only proved useful in the time of the struggle for power, but became the fundamental element of Lukashenko’s image for years to come. 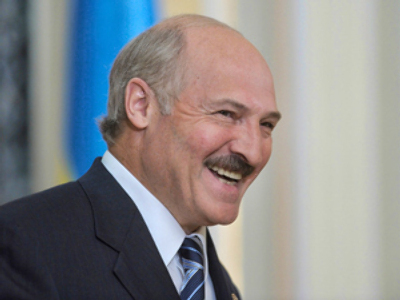 Lukashenko came to power as a pure joker – none of Belarus’ foreign partners had a clear attitude towards him. Some said he was well acquainted with Russian special services which approved him as a candidate. Others said that his political ties with Russia were mainly of a “leftist” nature. It is known that his speech at the Russian State Duma in 1994, which brought him more points during the electoral campaign in Belarus, became possible due to support from the Communist Party of the Russian Federation, and personally Gennady Zyuganov. The West was extremely short of information about the new Belarusian president and enthusiastically involved him in international affairs. In 1994–1995 Aleksandr Lukashenko met the US president Bill Clinton, and made an official tour across Western Europe. Yet very soon the Belarusian president had to make geopolitical choices, which led to a deterioration of Belarus-West relations for the following years. The young (he was only 40 then) president came to power in a country which was nearing collapse. More and more plants of a once developed and industrial Belarus were closing. People weren’t getting wages. The cooperation ties of Belarusian enterprises with their Russian and other ex-USSR partners were broken and the times when Belarus was called the “assembly room” of the USSR seemed to have passed forever. At the same time Aleksandr Lukashenko could not get loans from the IMF or World Bank to support manufacturers, as the international bodies’ plans of liberalization and deregulation of economy would finish off deteriorating industries. And that was exactly the opposite of what he had intended to do. In the 2000s Lukashenko frequently recalled the 1994–1995 period of political struggle in his meetings with common people in different regions of Belarus. At every such meeting he asked the workers and farmers one question: “Shall we liberalize the economy, fire about half the employees and make our enterprises cost-effective, raise the salaries of those still employed and let the fired seek a better life as entrepreneurs; or shall we keep a centralized state-dominated economy, preserve the jobs with low salaries and gradually improve the work of enterprises?” The people always preferred the latter. According to Lukashenko, that was what defined his geopolitical choice in the 1990s. In reality the choice was based not only on the “will of the people” but also on purely objective factors and Lukashenko’s rational calculations. On the one hand, choosing the “liberal project” meant firing about half the employed Belarusian workforce with no prospect of small business enterprises created for them, which meant a social catastrophe. On the other hand, there was no other political basis for Lukashenko but the post-Soviet industrial and agricultural elites of numerous Belarusian state enterprises. The second major force in Belarus of the 1990s was presented by the nationalist pro-Western groups who despised the new president, regarding him as a “kolkhoznik” (peasant), and would never give him a hand. That was why Lukashenko decided to put the preservation of Belarus’ heavy industry and state collective farms at the core of his political program. That decision had imminent geopolitical implications. Belarus had to restore its former cooperative ties with suppliers and consumers in the CIS countries, but first of all in Russia. That was exactly why from 1994 on Aleksandr Lukashenko became the self-proclaimed but recognized leader of the reintegration movement in the post-Soviet area. Belarus sought benefits while the Russian elite decided to use the reintegration rhetoric in order to widen the support for Boris Yeltsin, who was said to have only 2% approval rating at the beginning of the 1996 presidential campaign. Thus, restoring a state-centered economy with emphasis on heavy industry and reintegrating at least a part of the former USSR became the two objectives which shaped the so called “neo-Soviet project” – the basis of Lukashenko’s legitimacy for ten successive years. There was a strong opposition to the “neosovietism” from Belarusian liberals, nationalists and those who hoped to become the “Belarusian Chubais” (“Chubais” was a name for anybody who wanted to organize privatization and make money on this). Many people of the initial “Lukashenko team” left him and became perpetual leaders of the opposition, while he became the leader of the state. 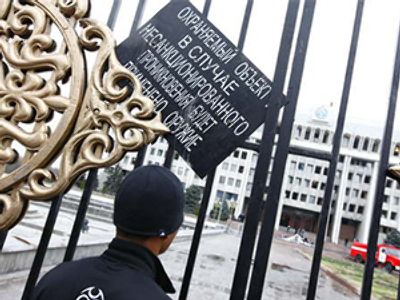 It was then that a number of ex-Lukashenko and then-opposition figures disappeared. They were believed by many to have been killed on the order of the Belarusian president. All in all, the struggle for power was fierce and the Belarus of the mid-1990s was a time of thousands gathering, riots and street fights. 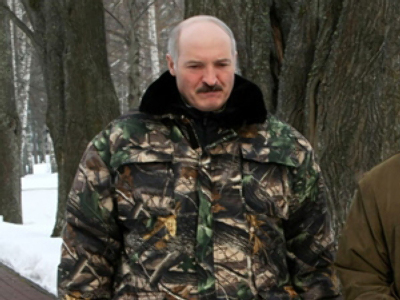 Aleksandr Lukashenko even became the target of an assassination attempt in the town of Liozno in 1994, but that time he was saved by his close associate Viktor Sheiman – one of the few persons who, still today, stayed with the president. Maybe it was then that Aleksandr Lukashenko decided that he had no choice but to build strong, even hard presidential power in the country. Two years after the election he dissolved the Supreme Council (Parliament) and organized a referendum at which a new edition of the Belarusian Constitution was adopted (the results of the referendum are disputed by the opposition and claimed fraudulent in the West). 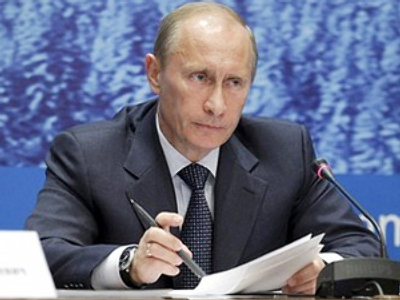 The document gave the president vast powers in comparison with the previous one. Later, Aleksandr Lukashenko even compared the Belarus of those days to Germany in 1920-40: “The history of Germany is similar to the history of Belarus, at certain periods. In its time, Germany was raised from the ruins due to very strong power; and not only bad things in Germany were connected with the well-known Adolf Hitler. No process or person can be labeled exclusively as black or white. Hitler formed a strong Germany due to strong presidential power.” However, those words referred only to the role of the president in the country. In general it was anti-Nazism and the cult of the Victory in the Great Patriotic War which were made the fundamental value of the Belarusian state. 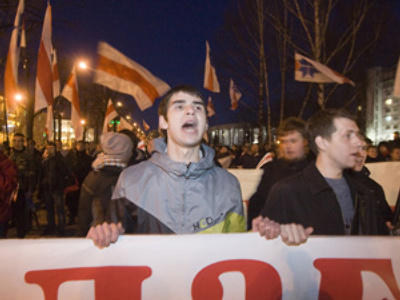 The end of the 1990s was marked by a relatively calm political situation in Belarus. In spite of the financial-economic crisis of 1997–1998 the Belarusian economy sustained its growth. The public opposition to Lukashenko became weaker, his popularity with the people in both Belarus and Russia got stronger. 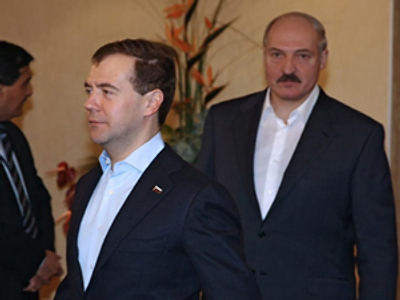 And that probably was the main factor for the Belarusian president’s continuing integration enthusiasm. 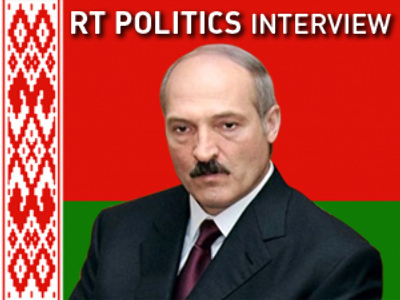 As if to prepare Belarusians to the union with Russia, Aleksandr Lukashenko was pointing out the importance of the Russian language to Belarus: “People, who speak Belarusian, cannot do anything else but speak Belarusian, because one cannot express something great in this language. Belarusian is a weak language. There are only two great languages in the world – Russian and English.” Incidentally, it was due to the results of Lukashenko’s first 1995 referendum that Russian was given equal status with Belarusian in Belarus. Aleksandr Lukashenko’s Russian counterpart was the old Boris Yeltsin who was in poor health and was spending more and more time at hospital. Thus, many analysts believed that Lukashenko hoped to become the president of both the countries in 2000 or 2001. That would be the proper application for the Union State treaty signed symbolically in Belovezhskaya Pushcha on December 8, 1999 – exactly eight years after the 1991 Belovezhskaya accords which officially dissolved the USSR. Yet those hopes did not last long. Twenty-three days after signing the Union State treaty Boris Yeltsin surprisingly resigned, giving Aleksandr Lukashenko probably the worst present he ever got for the New Year. Was it the threat of Batka’s coming to power in Moscow which made Russian elites finally agree on a candidate to become Yeltsin’s successor? Regardless, the power in Russia was taken up by a young and enthusiastic Prime Minister Vladimir Putin. This rearrangement marked the beginning of the Union State project’s long-lasting crisis – the single state of Russia and Belarus had not been created up to now. Lukashenko’s disappointment with the new situation grew into alleged personal dislike towards Vladimir Putin, but those personal shades did not affect the relations of the two countries until the world oil prices began quickly and steadily rising after 9/11. As analysts agree, that process fomented Russia’s role as Europe’s raw-material supplier and moved the interests of heavy non-raw-material industry to the periphery of state interests. That considerably devalued Belarus’ importance to Russia and made elites in Moscow reconsider the foundations of the Union. 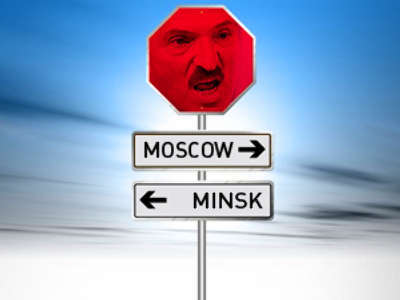 Instead of equal rights confirmed by the Union State treaty, the Russian government proposed the idea of Belarus’ reforming into six regions of the Russian Federation – an idea completely unacceptable both to the Belarusian elite and common people. Further reconsideration of the Union revealed that the Belarusian economy was heavily subsidized by Russia: Belarus paid reduced prices for gas and was not charged with an export duty for the imported Russian oil, which it reprocessed and further exported to Europe, receiving a substantial margin. In 2004–2008 those “subsidies” were considerably cut, which led to a number of rows between the allies (the most important in 2006, when Russia reintroduced the export duty for oil going to Belarus) and major changes in Belarusian politics. The most important of those was the beginning of Belarusian “multiple-vector” external policy which, first of all, meant restoring normal relations with Europe and the United States. The “multiple-vector” policy never turned into a “European project” for Aleksandr Lukashenko. Despite some progress in mutual relations there is still an abyss between the West and Belarus. That was once again proved by the recent PACE resolution on Belarus demanding the abolition of capital punishment and 28 more political changes which would completely transform the Belarusian political system and make Lukashenko’s legitimacy dependent on Brussels’ approval. 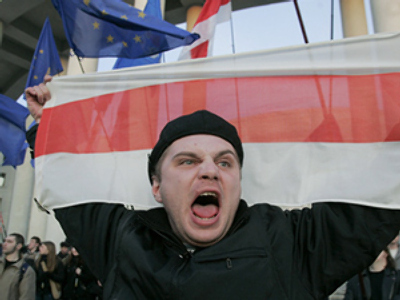 Furthermore, everyone in Belarus is skeptical of prospective economic cooperation with Europe. A significant part of Belarusian production would be uncompetitive on the European market and it is already clear that the EU is not going to subsidize Belarus at even half the Russian level. That is how Belarus finds itself in a trap while the world financial crisis rages around it. An interesting peculiarity of the situation around Belarus is that there had not been an independent autonomous state in this part of Europe for some 500 years. Since the middle of the 16th century the territory of Belarus was included into either some Western state or Russia. That not only made the independence a brand new challenge for Belarusians (that is why some people in Belarus call Lukashenko “Vitovt of the 21st century” – by the name of the Grand Duke of Lithuania who made his country an autonomous Eastern European power which, however, didn’t last long), but also created the “Belarusian problem” for the West and Russia. Both of them seem to have no model of treating an independent state in Eastern Europe which does not fit into traditional geopolitical schemes. The only project for this region is the “cordon sanitaire” between Europe and Russia – a destructive invention of British geopolitics designed to prevent the rapid development of Eurasia. At the moment, Belarus is being pulled into this project by some European circles (mainly Britain, assisted by partners in Poland, Lithuania and the Ukraine). Thus, Aleksandr Lukashenko is back where he started from. At the time of the world economic crisis accepting the “European perspective” would mean destroying national industry, becoming hostile to Russia and eventually losing sovereignty. That is hard to accept, but it seems that there is no one in Belarus to offer another perspective. This means that in the nearest future we will see either an implementation of some new project masterminded by the Belarusian president, or the great tragedy of a man losing all the gains of the past 15 years.